Synopsis: This mini-love-lesson addresses self-love and egotism as the same or different; good or bad; definitions shallow and deep; the full and leaky bucket concept; locus and focus issues; effects on others; and self-love as defeat of egotism. Aren’t They Both the Same Thing and Bad? My answer is an emphatic NO! Healthy, real self-love actually is the enemy of being egotistical, conceded, etc. Healthy, real self-love also leads away from selfishness to a greater giving, altruistic love. It is really the lack of self-love that leads to heightened, and especially destructive selfish behavior. If I say something more or less like that, then I usually hear something like, “Dr. Cookerly, please explain how that works”? To do that, let’s define egotism and self-love. Egotism is excessively and over-positively talking, acting, and thinking about oneself so as to cause oneself and/or others to think of oneself as having high importance and significance. Others and I posit that covertly and subconsciously, egotistical acts and thoughts are because of a secret fear and self view of oneself as being insignificant and unimportant and, therefore, unloved and unlovable. Egotism can best be understood as belonging with the once popular, and still accurate framework of a ‘superiority complex’ which, of course, is always covertly a masked inferiority complex. No small number of dictionary definitions of egotism omit this underlying dynamic. In effect, the egotistical, conceited, etc. are seen to have hidden low self-esteem, are lacking in self-love and self approval at a deeper level, and they just happen to be trying hard to fix or make up for that, but are doing it in ways that don’t really work. There is the secret hope that if others see and treat them as significant and important, that will cure the problem, and they will feel okay with themselves and finally be loved. The problem is it never works. Self-Love is a healthy, real, powerful, natural process of highly valuing, desiring for, often acting for, and taking pleasure in the well-being of the self. Sufficient, healthy self-love sets one free to be more loving to others. There is not a need for others to see the self as significant or important because that need is largely met by the self via sufficient self-love and its natural components of self-respect and self honoring. With sufficient self-love there is a kind of ‘owning’ that one is of value and, therefore, one’s essential self is consistently and sufficiently okay. Thus, there is little need to keep proving it, or striving for outside validation from others. If laudatory praise, admiration, compliments, etc. come from others, they can be greatly enjoyed but they are not needed. With self-love, one’s bucket of value and okayness is sufficiently full, and tends to stay that way with extra available to give to others. 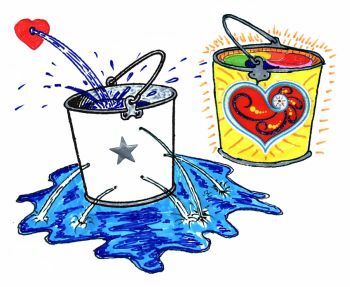 With egotism the bucket has a hole (or several holes) thus, it is continuously in need of replenishment. With self-love, the locus of control is internal, and focused on the valuing one’s self. With egotism, the locus of control is external and focused on the valuing by others. With healthy self-love there can be a sort of humble awe and thankfulness about one’s own nature and adequacy. With egotism there is the hidden fear that one either is or will soon be proven and judged as inadequate. With healthy self-love there is a sufficiency, and from that grows an ability to appreciate many other things outside the self and value others more. With egotism, there is a secret sense of insufficiency constantly demanding attention. That often deprives people of the ability to appreciate others and the world about them. With healthy self-love, bragging is brief, and attention to others and other matters is seen as worthwhile and important. With egotism, bragging tends to be excessive in the opinion of others, and other matters are less important and less attended to. Because genuinely healthy, self-loving people are also the people who often are very good at loving others, and at projecting a confident, okay demeanor, people tend to be drawn to them. Sometimes the envious and jealous are not. Egotistical people tend to be avoided by others, and especially those who see deeper into people often move away from them. As people grow their healthy self-love they become less egotistical. False pride and its accompanying showy arrogance, fades and an inner gladness for who one is and has become grows. As that happens egotism and self-aggrandizement is defeated and is usually replaced with a more generous and loving spirit. The ancient words “love others as you love yourself” thus become much more able to be acted upon. 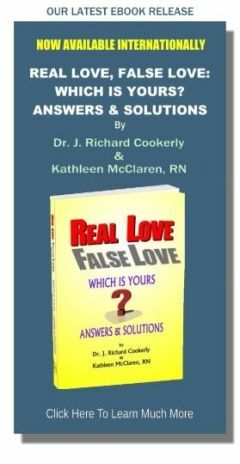 To study healthy self-love more, at this site see the mini-love-lessons titled “Self-Love – What Is It?”; “Self-Love and 12 Reasons to Develop It”; and “Self-Love and Its Five Healthy Functions”. How good a job are you really doing at healthy self-love – today?